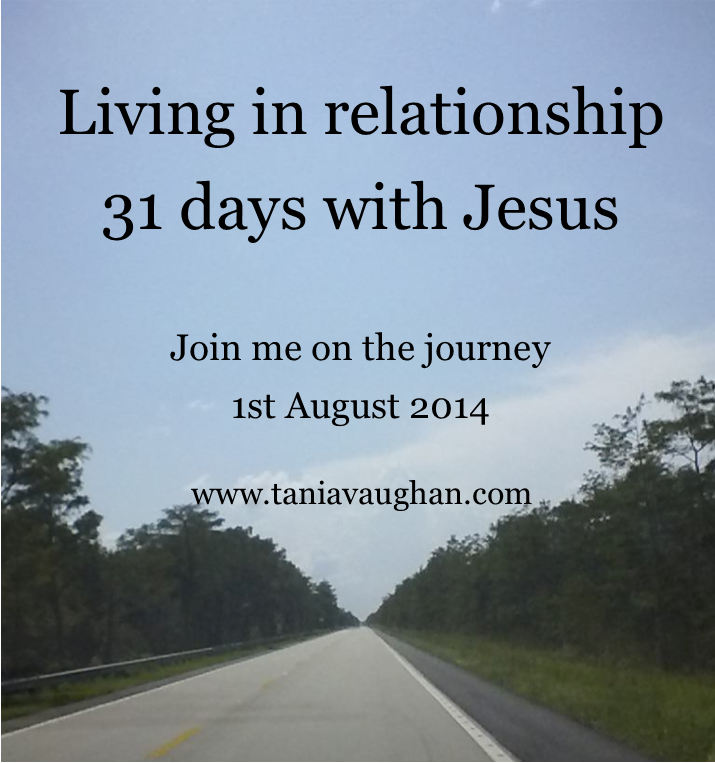 As I embark on hosting "31 days with Jesus" a Bible study, I find myself asking "Why am I so excited about spending time getting to know him?" and "Why am I so keen to encourage others to join me on the journey?" The answer is simple, my faith is not a religion it is a living relationship, and to keep any relationship alive and meaningful we need to spend time together. When I spoke recently on "Living in relationship with Jesus" I used just three examples from the gospels, but in preparing I found so much more that I wanted to share. To understand and live in relationship with Jesus by seeing how he related to people in the New Testament. To follow Jesus' example in discipleship by exploring and imitating his interactions. To find out what a relationship with Jesus is because you don't currently have one but you can't say you don't want one until you know what that means. I want to grow in my relationship with Jesus and relate to people the way he did. I want to encourage every believer to grow their relationship and not their religion. I want to help those who don't know him see who Jesus is. I find myself thinking about Paul, he considered everything to be nothing compared to the surpassing worth of knowing Jesus (Philippians 3:7-9). I want to know what that feels like, to be complete because I have everything in knowing Jesus, don't you? You can find more information, sign up, link to the Facebook group and get the reading plan on the Living in Relationship page. I would love for you to join me on this journey. This sounds really good! I've joined the facebook group and plan to join in. Thanks for linking up at Fulfilled Fridays on Living in Green Grass so I could find out about it!